Summer Semester live online classes (webinars) start June 3, 2019. All eight courses required for the M.A. in Biblical Studies are offered live online this Summer semester. 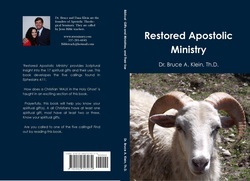 - learn doctrine by live webinars taught in actual time and eLearning (lesson modules on the internet). The first course is titled 'Bibliology'. The course starts this January - the start of 'Fall Semester'. Enrollment is open to all the courses one desires. To start, mail a check or use your debit or credit card paying $290.00 for the first course, which is the cost of tuition, book (includes shipping), and the eLearning module and the webinars. 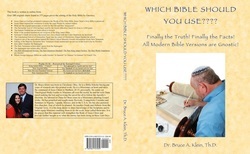 You will receive Dr. Klein's book 'Which Bible Should You Use????' by U.S. mail. You may enroll in one or multiple courses. You could finish the Master of Arts in Biblical Studies in one year. There are 8 courses (32 credits) at $250. tuition per course - pay per course; take just one course or take all to earn a degree. - Webinar, eLearning (and at least one book is generally used per course). There are books included in the courses which are not available elsewhere. Electives are available on the eLearning site without additional cost. These courses will be added to the seminarian's transcript. Earn a Masters Degree at the cost of $2,000.00 for tuition plus $285.00 for textbooks includes shipping and eLearning. 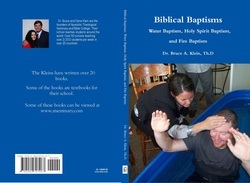 Some textbooks are required by the seminarian to purchase from a vendor. Professor Jeanette Chapman will help you write a thesis that could be published as a book. The book's revenue may pay for the tuition. So, I do not want to write the Word of God for you! 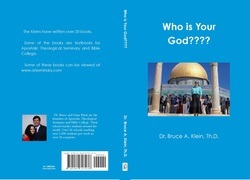 You want only God's inspired Scriptures.